Join the fastest growing teachers community and make your investment worthwhile by getting jobs upon completion of your training with Oxbridge TEFL. 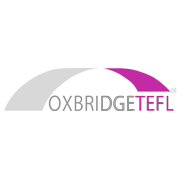 Oxbridge, a community of teachers and educational technology company, provides language classes (in particular English as a second language) teacher training and services to freelance teachers. We provide the most practical course on the market at the lowest possible price - learn how to teach through teaching and start working upon completion! All for 699€ for the in-person course and 499€ for the Online course.